DroidLock offers a simple, and fresh look at device management! With many features and the steady development of new features, DroidLock is making device management and all of the benefits that come with it, accessible to everyone. DroidLock works in almost any situation where Apple devices are being used in a business environment. With options for company-owned devices, single-function devices (such as Kiosks), and any other type of device, DroidLock is a smart choice when it comes to Device Management. ​Device Profiles allow you to create a profile/configuration that will automatically install the applications, web shortcuts and branding on the device when it is applied. Device Groups allow an organization to organize devices into specific groups, which could be different departments, or different locations, or however you need to organize your devices! Give your organization control over what is being accessed on the web. Create boundaries for single devices or groups and receive alerts when they are breached! ​Pre-configured roles to get started! 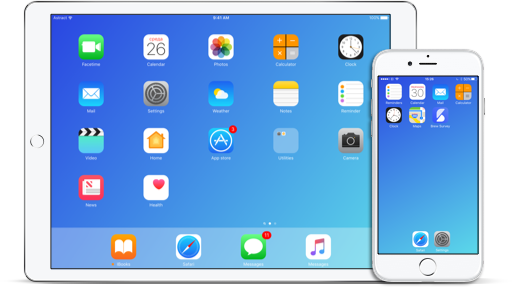 The Device Enrollment Program makes it easy for businesses to deploy their iOS devices that were purchased directly from Apple or a certified reseller. DroidLock directly integrates with your Apple Business account to configure your devices from the initial purchase! The Volume Purchase Program (VPP) makes it easy for organizations and educational institutions to purchase a large amount of licenses for the same application, book, images, text books and more. 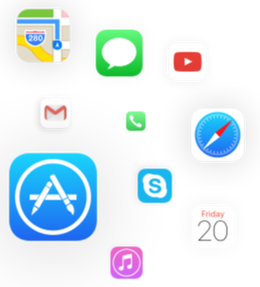 DroidLock has integrated with Apple to make the distribution of applications and media that much simpler! The application management option provides the ability to manage and distribute Applications using multiple methods. You can find and distribute public applications using the App Store, or upload your in-house and non-public applications to the built-in Enterprise Store! Managing and deploying applications has never been easier! A collection of applications that are included with DroidLock. This includes FileDock, EVA, RemoteCast, and ProSurf - Kiosk Browser. Manage the applications on your Apple Devices straight from the App Store! DroidLock allows you to decide which applications your iOS devices can use! Limit your employees to only productivity applications! Have in-house developed applications and need a way to distribute them to your devices? The Enterprise Store allows you to upload your in-house applications and push them to your mobile devices like an Application available on the Google Play Store. Distributing content and information has never been easier using FileDock! Simply upload your content into the Content Management section and start sharing today! With support for many different file and document types. Check out the list of all supported types below! DroidLock includes multiple methods for quickly deploying and configuring multiple devices. Deploy to as many devices as needed with IMEI-based configuration and enrollment, quickly create QR deployments codes for configuring single devices, and the ability to create pre-configured configuration files which take care of the Device Name, Group, and what functionality the device(s) have! The bulk enrollment feature for DroidLock makes it simple to deploy initially and add new devices to your Management Portal. The ProSurf Kiosk Browser offers the ability to Blacklist certain websites so they can't be visited. Or you can choose to Whitelist websites to allow them to be visited, while everything else is blocked. The Kiosk Browser offers the ability to still access the internet but limit what can be done! A great productivity feature, you can do such things as remove the address bar, create web shortcuts and publish them to devices, and only allow safe websites. DroidLock gives you the ability to know where your devices/employees are at any given time! The configurable GPS Tracker takes the position on the device at set intervals, to give you a detailed view of where the device has been. View up to 6 months of location history for auditing, legal or any other reason. Geofencing allows to create virtual perimeter for your devices and receive notification when such breaches occur. Creating one is easy, simply select your point on the map and then select how large of a perimeter you want (Minimum 500m). If a device leaves or enters the zone, it will inform the system administrator (or who you specify) that a device has left a Geofence area. © DIGITAL SECURITY CONCEPTS 2018. ALL RIGHTS RESERVED.